Mason’s book was originally self-published. An array of slightly too-shiny paperbacks with offbeat covers winks from a back shelf at the local bookstore. These memoirs, mysteries, family histories, and science fiction novels are by unknown writers…and you have never heard of the publishers. Until a couple of years ago, self-publishing was frowned upon. Writers who published in traditional venues, whether in the New York Times or the most lacklustre local magazines, tended to despise those who publish their own work. The rest of us are not snobs, but we know that editors have probably rejected the books before the authors go this route. And when people give us copies of their self-published novels or poetry chapbooks, we are polite, but do we read them? Attitudes are changing as new technology, like self-published e-books formatted for free at Lulu and Smashwords, makes self-publishing almost trendy. Not long ago, journalists wouldn’t have bothered to report on the self-publishing trend. 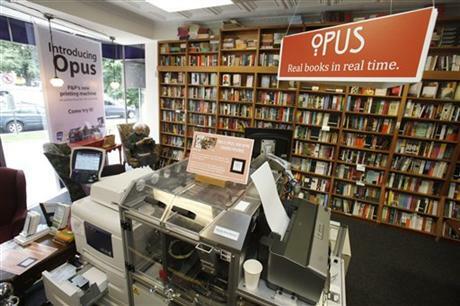 But in I recently read a story in The Washington Post about an Open Mike party for self-published authors at Politics and Prose, a Washington bookstore that has printed 9,000 books by self-published authors via an Opus Espresso Print-on-Demand machine. It’s not just the Washington Post that is softening up. Michiko Kakutani, a tough book critic at The New York Times, chose Alan Sepinwall’s self-published The Revolution Was Televised, a book of TV criticism, as one of her best books of 2012. In Forbes last August, David Vinjamuri mused about the potential of self-published e-books in the midst of an Old Media publishing slump. He wrote about breakthrough “indie” novels by Hugh Howey, Amanda Hocking, and John Locke. Yes, we’ve heard this kind of criticism before. Last year several well-known journalists said that bloggers, tweeters, members of GoodReads, social media users, and others they perceive as online cranks have wrecked the sovereignty of editors, critics, and writers. Howard Jacobson’s novel, Zoo Time, centers on the death of publishing. It’s very funny, and perhaps it’s true. Bur as long as E. L. James, George R. R. Martin, and R. K. Rowling… writers with initials instead of names…and, oh, yeah, Stephen King…continue writing, publishing will survive. That is, if the publishers stop and publish a literary book occasionally. Self-published authors are only a threat to traditional publishers insofar as they are better able to distribute their work than they were, say, 20 years ago. A self-published science fiction book. Naturally, some self-published writers get respect. 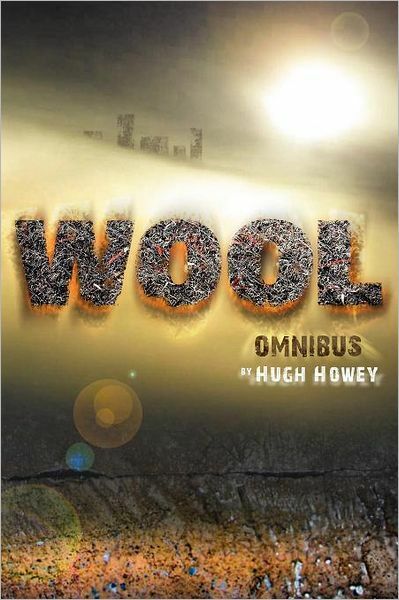 Hugh Howey’s science fiction omnibus, Wool, Amanda Hocking’s Y.A. 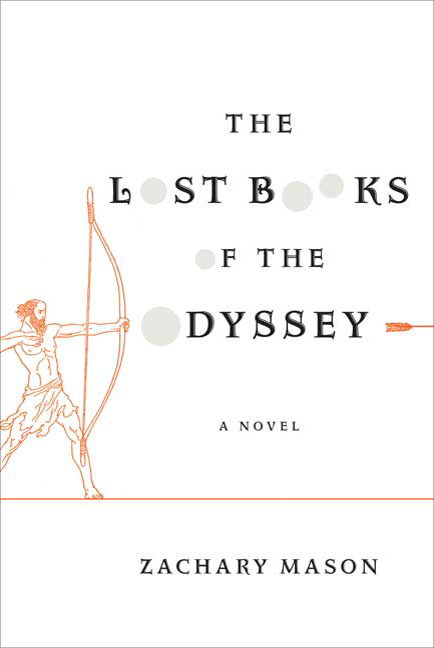 books, Zachary Mason’s literary novel, The Lost Book of the Odyssey, and Collen Hoover’s romances have been picked up by major publishers. Yet is this the point? Do all self-published writers want money and celebrity? I suppose it would be strange if they didn’t. But perhaps some are doing it for fun. Everyone in my family writes. The older generation have been self-publishing books at Kinko’s for years, and I assure you that none of these books was submitted to a publisher first. I have at least a dozen of their memoirs, poetry, family histories, genealogy (may I just say here I hated those trips to cemeteries off the interstate? ), and The Kinfolk Cookbook, a collection of family recipes ranging from picnic hamburgers to peanut butter chicken (ugh!) to mustard pickles to crumb top rhubarb pie to Never Fail Syrup to soap. I also have a book, kind of. I wrote a number of light essays in my freelance days before I burned out and turned to blogging. The copyright reverted to me after three months. Type them up and publish them in an e-book, my family says. I described my life without a car, how I lived in a rain forest of a leaky apartment, and bicycled long distances, even up mountains, on a fat-tired Schwinn. If I self-publish it, I’ll let you know. Poets are encouraged to self-publish their chapbooks. Do you know a lot of poets? So many of my friends have self-published lovely chapbooks, small pamphlet-liked books, folded and stapled, with lovely covers. They read their poems at Open Mike Night. 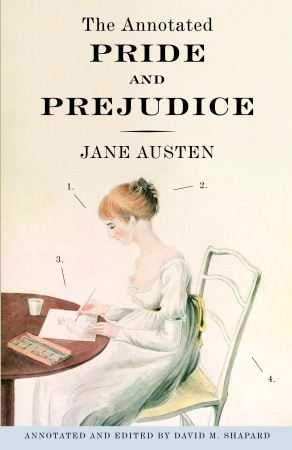 It is the 200th anniversary of the publication of Pride and Prejudice. This would be my desert island book, if I didn’t practically know it by heart. I celebrate instead with my favorite Austen novel, Emma. There was much laughter, but I’m sure if we developed the Jane Austen Workout we would get rich. S0 I have developed some archetypal Austen workout activities in honor of the bicentenary. 1. There is a hell of a lot of walking in Austen. Do Emma and Harriet ever sit still? Does a day go by when the Bennet sisters don’t take a walk? Take a walk when the characters in Austen’s novels do, and you will soon be physically fit. If you read P&P, you may meet the cute, caddish Wickham, with whom giddy Lydia Bennet falls in love. You may also meet sensible, dull Darcy, as Lizzie does when she walks through his park and decides he’s not so bad after all. 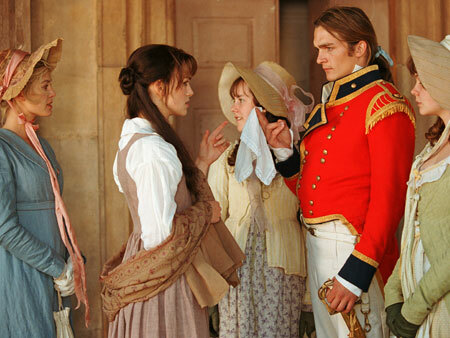 I would far rather converse with the delightful Wickham, though Darcy is the marrying kind. And if you are Emma, and who wouldn’t rather be, you might meet Frank Churchill, so charming and funny, or Knightley, the stern advisor/friend with whom she is in love. Frank is much more fun. As you can see, I am into the bad boys of Austen. 2. Ride a horse when an Austen character rides a horse. Think of the rivalry between Fanny and Mary Crawford in Mansfield Park. Pert Mary Crawford keeps borrowing Fanny’s horse, and Edmund, who rides with her, forgets that shy, sickly Fanny needs her horse for her workout. Why does Fanny martyr herself? We want Fanny to get her horse back. That Mary! 3. Read any Jane Austen novel at a club, and dance every time a character dances. The very sight of you with a Jane Austen novel will attract every man in the place, or… Oh, well… I’m only joking. No heterosexual man I know has ever read Jane Austen except for a class. Forget kickboxing! The elliptical is for sissies! 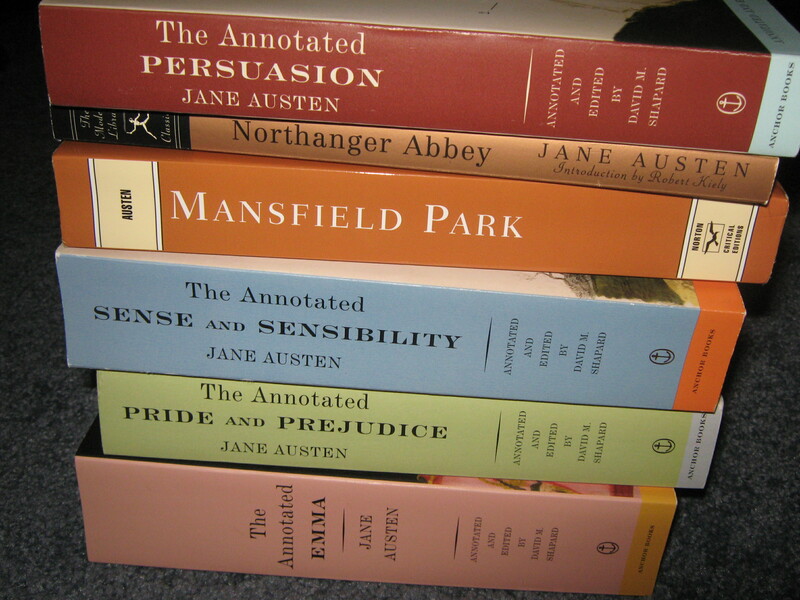 Carry all six of Austen’s novels, which I’m sure you have, in a backpack or bike pannier, and if they’re the annotated editions, you’ll soon be exhausted. Add a couple of biographies to make it really tough. Go uphill for a couple of miles, or climb a mountain with your Austen for a more strenuous workout. DON’T DO THIS IF YOU’RE ON BLOOD PRESSURE MEDICATION. Heck, I just made that up, but there has to be a warming with a workout. For all I know, people with high blood pressure carry Jane Austen books up mountains all the time. And then go home and go to sleep. Now here are some links to a challenge and an article (not part of my workout). 1. THE PRIDE AND PREJUDICE BICENTENARY CHALLENGE. At Austenprose, a very good website, you can sign up to read P&P or related books and watch the movies during this anniversary year. It is complicated, like all of these challenges, and involves putting a logo up at your blog, commenting, counter-commenting, and…but there are prizes. 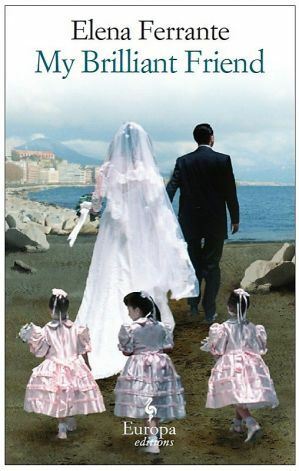 The Italian writer Elena Ferrante’s new novel, My Brilliant Friend, the first of a trilogy, has been much lauded. Publishers Weekly ran an interview with Ferrante in November, The New York Times praised the book (albeit in brief) in December, and a long essay by James Wood was recently published in The New Yorker. If you didn’t know who Ferrante is, and no one knows who she is because she writes under a pseudonym, now you know, or rather don’t know, who she is. I loved Ferrante’s 2002 novel, The Days of Abandonment, and described it (at my old blog, Frisbee: A Book Journal) as “Kafkaesque, but crossed with the realism of Marilyn French and Doris Lessing.” It is narrated by Olga, a housewife whose thoughts are tempestuous yet often comical after her husband of 15 years deserts her without explanation. She had thought she and Mario were living happily ever after with their two children and dog, and cannot believe he is gone. She stays up all night and writes letters to him. She descends into sadness and craziness, and her cruel friends will not tell her for whom he left her. I feel much compassion for Olga as she wonders what has happened. Part of the reason I liked this book so much was that she finally triumphs (well, in a way) over the man who leaves her for a much younger woman. You will not necessarily love My Brilliant Friend if you appreciated the stream-of-consciousness of Abandonment. My Brilliant Friend is stunning in a very different way. Rich in detail, it is a witty, moving, but very traditional chronicle of the friendship of two girls, Elena and Lila, who grow up in Naples in the 1950s. Elena, the narrator, and her friend, Lila, are the two best students in school. But Elena feels inferior to staunch, determined Lila, a prodigy who is always in trouble until the teacher finds she has taught herself to read. Lila vanquishes everyone, even the older students, in academic competitions, initiates games, and teaches herself Latin from a library book. But ironically it is Elena, the second best, who continues in school, while Lila is yanked out after elementary school to work at her father’s shoe shop. Life is violent in My Brilliant Friend, as it sometimes was in The Days of Abandonment. Elena says she feels no nostalgia for her childhood in their poor neighborhood in Naples: parents beat their children, boys get into fights, someone gets murdered, and a fireworks competition ends in gunfire. Yet Elena and Lila have rich imaginative and intellectual lives apart from what happens in their neighborhood. They are absorbed in their own world of study and play. Lila is the leader. At one point in their childhood, they trade dolls, and Lila throws Elena’s doll down a grate into a basement. Elena does exactly the same, because she does not want to be outdone. They cannot find the dolls, and Lila concludes that Don Achille, a man with a terrible reputation whom they are frightened of, has stolen them. When they knock on his door and accuse him, he gives them money for new dolls. But they don’t buy dolls: they buy a copy of Little Women instead. And since Little Women is one of my favorite books, I was delighted. As they grow older, Lila becomes conventional, busy working for her father the shoemaker. Eventually she stops trying to keep up academically with Elena. Lila has taught herself Latin and the rudiments of Greek from library books. But then she starts dating, older men with money propose to her, and she begins to dress like a movie star. But she still has artistic aspirations. She designs a line of shoes, which her father refuses to make until her fiance, Stefano, the owner of a grocery store, insists. The shoes are elegant. Meanwhile, Elena takes on Lila’s role at school. She studies endlessly, manages to be the best student, and writes, as Lila used to. She loves The Aeneid, which she reads in Latin (it’s my favorite Latin poem, too), and talks often about Dido and Aeneas. But she always misses Lila, who was her most brilliant friend. Ferrante records in a literary way the coming of age of a woman in a poor neighborhood, with humor and without sentiment. It feels like an important book, but someone who knows Italian literature would have to explain why. 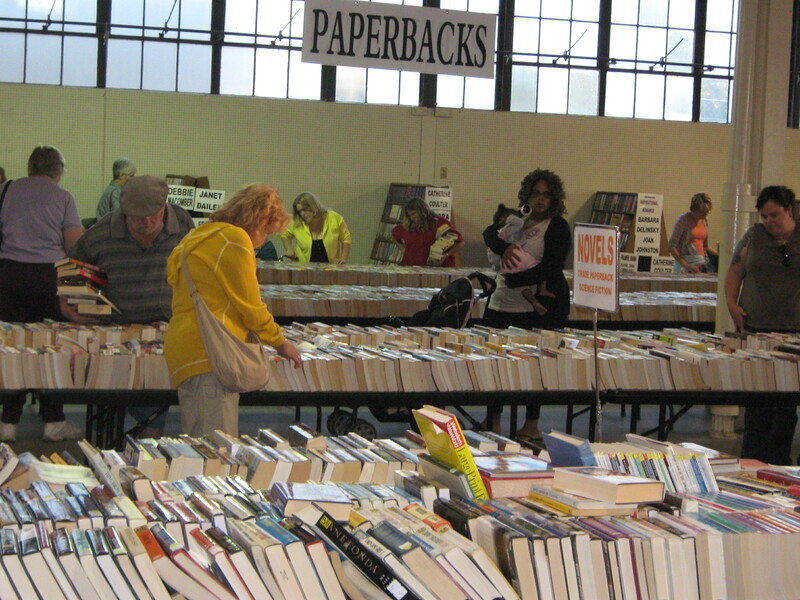 Used booksellers depend on fabulous book sales like this. I found A Cattleman’s Books by chance while wandering through a city I didn’t know. One window was boarded up, and the other impossibly dusty. A few books had been dumped in the window, apparently by someone who had forgotten to shelve them. If you wanted a coverless copy of The Oxford Book of English Poetry, out-of-print science fiction by David Lindsay, or a wacky 1950s Big Book of Games, which emphasizes games that require passing an apple from under your chin to another’s, this was the place for you. In the damp, unheated store, the aged cattleman sat watching TV. He did not take care of the books. He owned “24 head of cattle” on a farm, and opened the store to have someplace to go in the city. There was no order to the books. I asked if I could arrange the books in alphabetical order in exchange for free books. There were some finds, a few rare books, mostly books I just wanted to read. He introduced me to the wonderful world of used book sales, book fairs, and estate sales that used bookstore owners mine. Over the years, at wonderful sales, I have acquired almost new copies of Mrs. Oliphant and Fanny Burney, books by Ruth Suckow, Booker Prize-winning paperbacks, old farm cookbooks, and an SF series by Roger Zelzany. It often takes years for me to get around to reading the sales books, which I park in boxes. 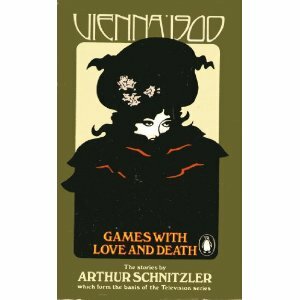 And so I have just finished a breathtaking collection of stories by Arthur Schnitzler, Vienna 1900: Games with Love and Death, which was published as a companion volume to a Masterpiece Theater series in 1974. The four stories, “Mother and Son,” “The Man of Honour,” “A Confirmed Bachelor,” and “Spring Sonata,” are available free at Project Gutenberg under different titles. Schnitzler (1862-1930), an Austrian Jewish physician, was the most famous Modernist writer in Fin de Siecle Vienna, a sophisticated member of a circle of artists and writers who knew the writings of Freud. Schnitzler graduated from the University of Vienna School of Medicine, which Freud also attended, and was familiar with the work of the psychiatrist Richard von Krafft-Ebing. He also wrote a thesis on hypnosis and used it in his practice. Schnitzler’s brilliant plays, stories, and novellas often recall the vivid, bold realism of Tolstoy and Flaubert. 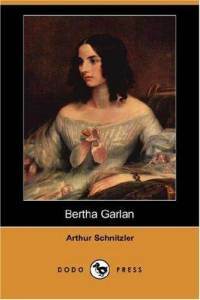 Spring Sonata, published elsewhere as Bertha Garlan, is a pitch-perfect novella about a woman’s sexual blooming. Bertha, the heroine, is a repressed widow, a beautiful woman whose husband died after only three years of a loveless marriage. She often visits the cemetery, though she did not love her husband, perhaps because there is so little to do. And because the town is so small, lecherous men of her acquaintance hover around her, thinking her available, sometimes even flirting in the cemetery. Her brother-in-law and nephew flirt with her. Bertha has dignity. She rejects the sexual overtures. Her son is the center of her life. She teaches piano to supplement her small income. Hers is a world of women and children. But when she learns that Emil Lindbach, her first love, a famous violinist, has recently returned to Vienna, her hometown, she feels restless. She decides to go to Vienna with sophisticated Frau Rupius, the wife of a paralyzed man, who has beautiful clothes made for her in Vienna. Schnitzler likes to write about art within art. Herr Rupius shows his collection of engravings to Bertha, with no sexual connotations, because each is fixated on someone different. But the engravings, one of which turns up in a museum, make an impact on her. Her fantasies of Emil are rich. She yearns to fall in love again, and to persuade him to play music only for her. As a piano student in Vienna, she, too, was once artistic and unconventional. In Vienna, she walks around the city fantasizing about love. And when she finally meets Emil, we see in a thousand ways that her fantasies are more sensual and intrepid than his. Bertha likes walking in the rain; he prefers a carriage. He does not dare take her to his own apartment–he says because of the press–and they make love in rented rooms. Bertha represses her knowledge of what this means. The art in the room is an important metaphor. There is nothing that could possibly be the choice of sophisticated Emil. There are portraits of the Emperor and Empress, framed photographs, and a painting of a naked woman. “It is not a work of art,” said Emil. He struck a match and held it up, so as to throw the light on the picture. Bertha saw that it was merely a wretched daub, but at the same time she felt that the painted woman, with the bold laughing eyes, was looking down at her, and she was glad when the match went out. She does not want to see who she is for Emil. The art tells us. When the fantasy ends, it could be the end for her. I won’t give it away, but let me say that Schnitzler’s take on women is different from Tolstoy’s or Flaubert’s. “Mirabile Does Middlebrow” is a new bimonthly feature here. I’d rather be reading middlebrow! I am a fan of middlebrow women’s fiction, and though I rarely write about it, I certainly read my share of popular novels. With a cup of tea in the middle of the night and none of the men awake to tease me, I curl up with the novels of Mrs. Oliphant, Mrs. Gaskell, Monica Dickens, or Mary Stewart. I also try lots of contemporary women’s fiction. Sometimes middlebrow contemporary fiction is a good fit for me, sometimes not. I can’t for the life of me read Jennifer Weiner or Joshlyn Jackson. I intend to be honest, and hope you will find some good books here, some by famous people, some barely known. 1. Emma Tennant’s Confessions of a Sugar Mummy. This delightful “chick lit” novel is for women of a certain age, or at least for women who know they may someday be that age. The witty Confessions are narrated by a sixtyish interior decorator who falls in love with a 40ish man. 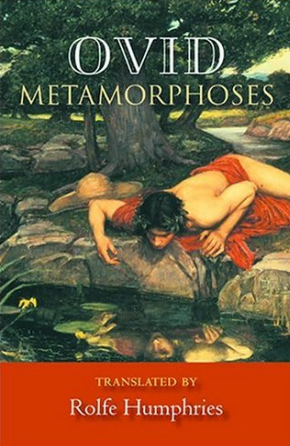 She tells us that Freud discovered the Oedipus complex, but failed to invent the Jocasta complex, “to look at the situation from the point of view of…his mother.” In her work as an interior decorator, she meets the gorgeous French tile maker, Alain, and immediately wants to sleep with him. But she gives us very good advice. She considers trying Botox, settles for a new facial creme, and then resolves to interest Alain by making a fortune selling her flat in her gentrified neighborhood. She thinks she can buy a house for herself, Alain, and possibly his wife. He is very interested. 2. 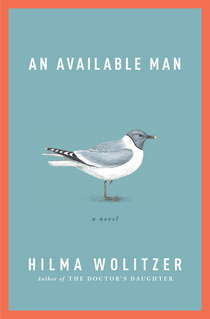 Hilma Wolitzer’s An Available Man. You might think it is no coincidence that I read a novel about a man in his sixties after reading a novel about a woman in her sixties, but I assure you I’m still clinging to my spry half century. Hilma Wolitzer is the mother of Meg Wolitzer, one of my favorite writers, and Hilma’s light, romantic novels are usually quite good, so I picked up a copy. When retired science teacher Edward’s children place a personal ad for him in NYR under the name Science Guy, he is annoyed, because he has not gotten over Bee, his late wife, and he doesn’t want to date. But he goes ahead with it, and meets several women who are not quite right for him, among them a teacher who jilted him years ago; a beautiful older blonde whose extensive plastic surgery repulses him; and a widow whose insistence on showing him photos of her dead husband makes him feel he is at a bereavement brunch. Edward is a kind, sensible, “nice” character, and this short entertaining novel is very “nicely” written. Occasionally an unpredictable moment redeems this novel as we see Edward change and grab life again. B+. 3. 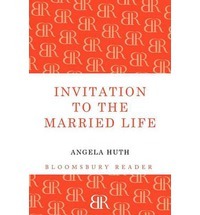 Angela Huth’s Invitation to the Married Life. This novel was compared to Margaret Drabble’s The Radiant Way, and though it was nothing like it, I very much enjoyed Huth’s shrewd observations of her characters’ rocky marriages and realignments of love. My favorite character is Rachel, a charming woman who spends her days sleeping on 300+ count sheets in a beautifully redecorated bedroom, because there are certainly days when I, too, would like to dream all day. Her husband, Thomas, who is quite nasty to her, has affairs with younger women and falls in love with an artist’s work and schemes to seduce her. Rachel embarrasses herself at a party making a pass at a man, but that is not the end of the world. We meet other characters, among them unhappy Frances Farthingoe, who gives a lot of parties and decides she needs a custom-made gray awning at her ball, while her quiet husband takes refuge in studying badgers at night. 4. Sherry Jones’s Four Sisters, All Queens. 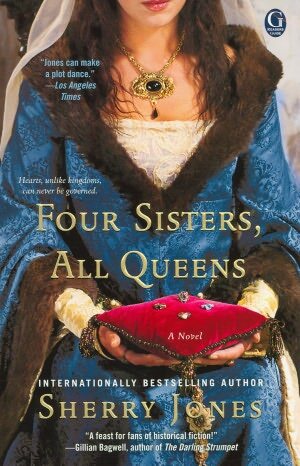 Sherry, a Friend of Our Blog , was kind enough to send me a copy of her historical novel, Four Sisters, All Queens. As a fan of Jean Plaidy, Anya Seton, and Philippa Gregory, I knew I’d enjoy this novel set in the 13th century about four queens. I enjoy historical novels about queens to the point that I once considered spending a year reading only historical novels…but I did something else! And I ended up racing through Sherry’s well-researched, deftly-written novel. She spins the story of the four daughters of savvy Beatrice of Savoy, the countess of Provence, who raised and educated her daughters as sons, ensuring that they would learn Latin, French, history, and other subjects that would help them participate in the political process.. She was the “queen maker” though she would have preferred to make kings, and her four daughters were expected to make political marriages. Indeed, Beatrice married them so well that it should have strengthened Provence. The four sisters grew up to be Queen Marguerite of France, Queen Elenore of England, Queen Sanchia of Germany, and Queen Beatrice of Sicily. Marguerite’s husband, Louis IX of France, is impotent. His mother has a way of showing up in the garden as they are kissing. Marguerite also has to contend with this evil queen politically, as she tries to edge Marguerite out of meetings and sends Marguerite’s uncles home. My favorite character, Eleanore, has to walk a treacherous path: her coronation is crashed by a madman who claims the coronation is illegal because Henry is betrothed to his daughter. Henry was engaged to her, and broke it off, saying she was too closely related: The Pope is reviewing the document. Marguerite tries to stay cool, and is astonishingly smart, managing to attract all the attention back to herself. The other two queens, too, have problems, and as they grow older, the politics are even more complicated. This novel is fascinating, great vacation reading, take it to the Caribbean (in my case the couch). Sherry, a former journalist, is an excellent writer. 5. Jo-Ann Mapson was kind enough to send me a copy of Finding Casey, the well-written sequel to her award-winning novel, Solomon’s Oak. In Solomon’s Oak, Mapson tells the story of Glory, a grieving widow who bakes pirate cakes and plans weddings to support her farm; Joseph, a retired wounded cop with pain management problems; and Juniper, a rebellious adolescent whose sister disappeared some years ago. In Finding Casey, Glory and Joseph have married and adopted Juniper and moved to Santa Fe, and there isn’t at first much tension in their happy family life. Glory is pregnant, Joseph volunteers on the board of a women’s shelter, and Juniper is in college. But a new character is introduced, Laurel, a brainwashed young woman who has been horribly abused by a cult leader at “the Farm,” and when she secretly brings her daughter to a hospital against the wishes of the sadistic Seth, she finds help from a social worker. Mapson has a calm voice and a simple, poetic style. She understands suffering and describes it quietly. I did figure out the plot almost immediately, but that isn’t a bad thing. Though there is suspense, you know she will help her characters. 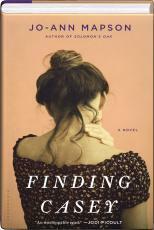 Finding Casey continues the story without much ado, and perhaps doesn’t quite stand alone. Is is more loosely plotted, because we already know the characters. So read Solomon’s Oak first. It’s just better to read them in a row. 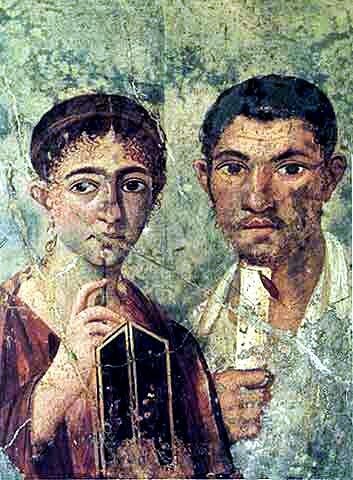 A Roman pair with stylus and scroll. I taught a Latin class through adult education. Had I known how much work it was, I might not have done it. I spent a full day each week typing worksheets. If you’ve been out of the work force for a while, as a housewife or, God forbid, unemployed, you lose touch with the culture. You don’t have the faintest idea how people think or talk . They walk down the street staring at their apparati (Gary Shteyngart’s word for phones/Blackberry/tablets/gadgets) and rarely look at the scenery. But do they procure Clozapine secretly from their sister the doctor so the CIA won’t realize they’re bipolar (Homeland), or chat about squalid love scams to Dr. Phil (Dr. Phil)? And do they say “awesome” all the time? Latin is not a spoken language, so I don’t teach fun phrases like, “Want a drink?” I did, however, teach the phrase in vino veritas, “There’s truth in wine.” Far be it from me not to prepare them to drink in bars in ancient Rome. Mostly I kept the tone up with drills on Latin vocabulary and grammar. They will never make a mistake about “who” and “whom” again. We did exercises in Wheelock (our textbook), read Pompeiian graffiti (pages of which I photocopied from books), and studied English derivatives. I explained that we studied Latin to read the literature, and brought in passages from different poets, Virgil, Catullus, Ovid. Then I had a problem. My books started to fall apart. One day I was holding Wheelock when part of the cover fell off. The pages were already smeared with the marker pens for the whiteboard. Other books began to disintegrate. Take my Lewis and Short Latin dictionary, which I bought long ago for $30 in a used bookstore, and which now costs $198 at Amazon. I was telling my students lore about some of the rare words used in Latin poetry. Ovid, for example, is the only Roman poet to use the word agitabilis, an adjective which means “light” or “easily moved,” and which he used to describe air. The binding of Lewis and Short suddenly cracked. Then pages started falling out. Fortunately we got kicked out of adult ed the third term when we didn’t have enough people for a class and the poltergeist didn’t follow us to the coffeehouse. But seriously, my Latin books are old. I have had to replace several of them. If I lived in an ideal blog world, publicists would offer me copies of Latin books. They would replace my mildewed Catullus, and send me Ciceror’s Pro Caelio. Meanwhile, I am investigating ways of cleaning mildew, and am pretty darned good with tape. It was the first spring-like day of the year. I rode my bicycle. I coasted in the bike lane down Ingersoll. I stopped at the grocery store to buy a small birthday cake for my mother. A “slice” of sheet cake was enormous. The cupcakes were almost the size of the cake. The half-cakes had too much frosting. Hello, world, do we need such huge cupcakes? 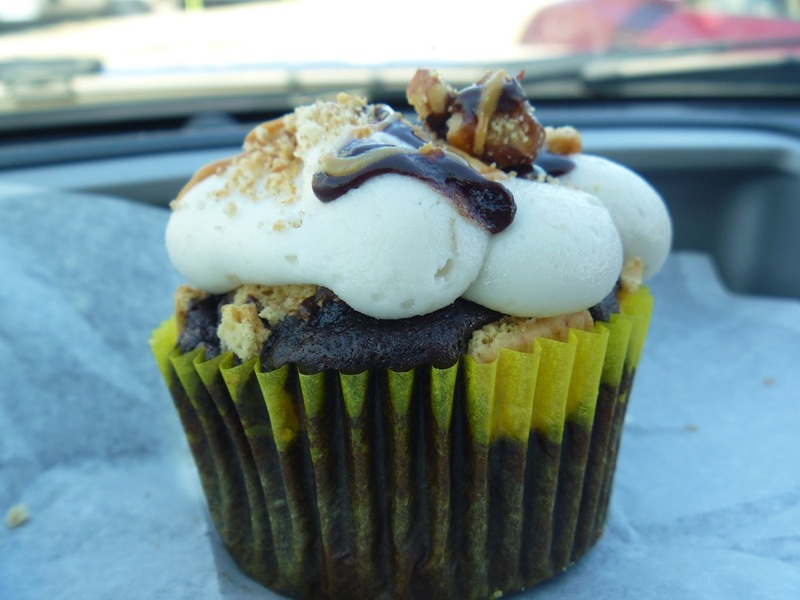 Could a cupcake get any bigger? She has a tiny appetite. The problem is she makes faces at any food bigger than a morsel. I figured I would buy the slice and tempt her with a small portion. Of course I would have to use a fork to cut it, since knives are not allowed at the nursing home. You don’t ask about the rules after a while. If they’re all on suicide watch, you don’t want to know. I carried the cake in a huge knapsack. I didn’t want it to get smooshed in my bike pannier. I took off happily on my bike again. 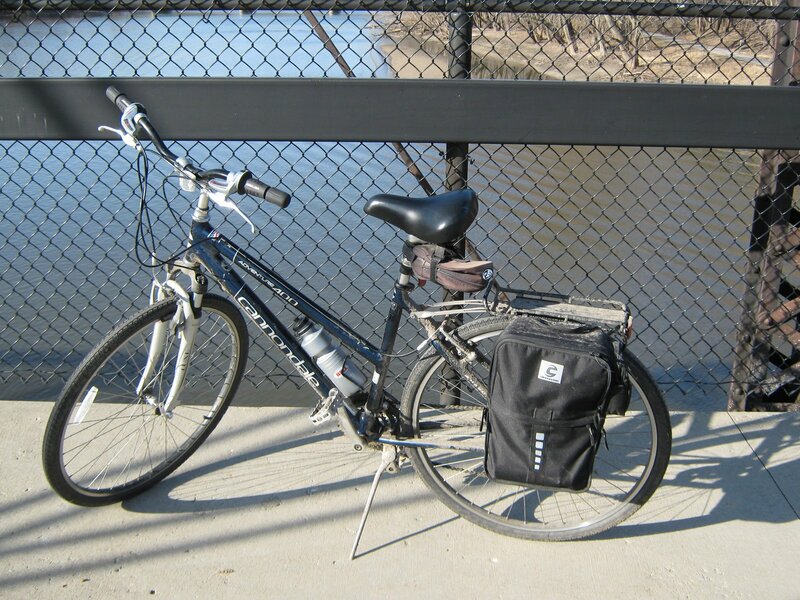 It is my primary form of transportation five or six months of the year. I was halfway to the nursing home when the back tire rumbled. I tried to keep going. Sometimes I can ride on it flat. No, it was totally deflated. I parked the bike at a bike rack and hurried to the bus stop. I had no idea if it was the right bus stop. It used to be, but the routes have just been revised. Finally a bus came, though not the one I was waiting for. The bus did, and charged me only 75 cents. And then it was another 10-minute walk. I was late. I wanted to jog. Careful, careful, don’t shake up the cake. I got there, and, as usual, most of the residents were sitting in their wheelchairs in front of the elevator. I found my mother sitting in her room with a towel on her head, just out of the shower. The blinds were drawn. I quickly opened the blinds. We ate cake. “It’s awfully sweet,” she said. Nonetheless she ate about one-fourth of it. The nursing home has taken good care of her, but it is not a nice place. Her room is tiny and narrow. There’s barely space for the bed, her chair, and the chest of drawers. One has to move the walker to scootch the “guest” chair out of the corner over to her tray table. We ate cake and played cards. 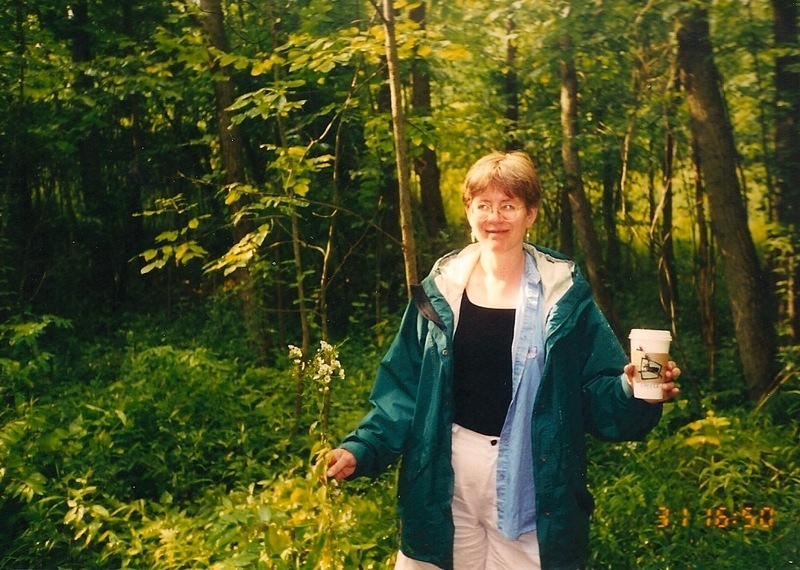 Growing up on a farm, she played gin rummy, whist, bridge with her parents in the evening. After they moved to town for my grandfather’s business, she joined many bridge clubs. When she owned her own house, she often gave bridge parties. Two or three card tables would be set up in the basement, snacks of nuts and mint, and coffee in the percolator: she hated to make coffee, because she never knew whether it was good or bad. She didn’t drink it. I am bad at cards, but we played for a couple of hours, and she did pretty well until she obviously got tired and couldn’t remember how to play. Then we put away the cards and turned on the TV. That’s what it’s for. No, she hates the news, and it did seem to be about something horrifying in the Middle East, and whatever that dismal show was on Lifetime, I wasn’t going to let her watch it. Seinfeld, yes. It’s the one with the cantaloupe and George’s break-up with Marlene. I guess it was a happy birthday, considering. I gave the rest of the cake to the nurses. IN WHICH BARNES AND NOBLE BECOMES A GHOST STORY. On Saturday I biked to Barnes and Noble. Another lovely day. Sun and wind. Well, riding into the west wind was hard. Barnes and Noble is the last real bookstore. Our city is big by wide-open-spaces standards, but 12 bookstores have closed since the ’90s. Two diminutive indies remain, but I cannot support them. They stock nothing I want, and if I have to order I use Amazon. Some experts suggest B&N needs to hire help that knows books. They also need to make it a “destination,” like Starbuck’s. You would think the closing of Borders would have spurred Barnes and Noble to greater excellence. Instead, the eight comfortable chairs have been removed and replaced by wooden chairs. There are no more book groups. One wall of literature and science fiction is now devoted to teen lit. There is no longer a new paperbacks table. Most of the people who work here are nice, but you have to watch out for a few of them. The new cashier was bitchy to my husband: she wouldn’t acknowledge him, and just kept chatting on the phone when he asked a question about whether she needed his signature. If I’m not mistaken, she was the manager several years ago. The store was dreadful then, and improved under the next manager. She’s a big genre person, and I like genre books, too. But she’s an enemy of literature. She must be here to reduce the literature section. She must be here to close the store. I hope it’s not she.